« The shop then and now! Well at least we didn’t have snow this year, Saturday was busy and Sunday was slow, but with all the economic turmoil it was frankly better than expected, credit must be given to the RYA and the centre staff who once again provided us with a very well organised show. 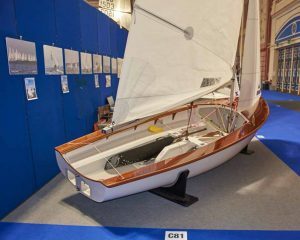 I could not decide which was the Boat of the show because there were too many incredible looking dinghies. 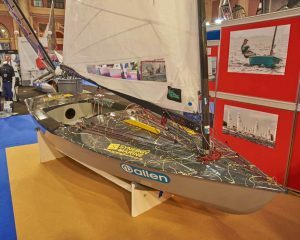 I was taken by the beautiful Albacore, it still is a very good and possibly under rated racing dinghy, but hats off to the deck on the Synergy OK. We had an Italian family come onto the stand to buy boots and buoyancy aids, amazingly the 7 year old girl insisted that her father should not take a plastic bag, telling him that she was happy to carry her new jacket because plastic is hurting the fish in the sea. Perhaps there is a chance for the planet after all!